My fourth letter in the series is not going to be that palatable to you. You have not taken serious note of the Judgment delivered on the 25th of August at the Ottawa Ontario Federal Court, in the case heard in Toronto Ontario, referred to in my last letter to you. The said case was an appeal filed by a Sri Lankan asylum seeker, for Judicial Review of a decision of the Immigration Division of the Immigration and Refugee Board (ID). The Honorable Mr. Justice Brown delivering the Judgment along with a list of reasons had said, “I am obliged to dismiss the application for Judicial Review”. Of the reasons given, I quote para 41 which is very relevant, as far as you are concerned:- “ The applicant emphasizes repeatedly that he did not support the goals of the LTTE. However, that is not determinative. This issue is membership in an organization that was engaged in terrorism. There is no doubt that the LTTE was such an organization, a point conceded below and with which, on the record, I agree. It was also reasonable for the ID to find it had reasonable grounds to believe the Applicant, through his membership in ITAK (which supported the LTTE) and his following of Sampanthan (who led ITAK, effectively led TNA and who actively supported LTTE), was a member in an organization that was engaged in terrorism as contemplated by paragraph 34(1)(f)”. This is not a simple matter for you to ignore. It affects the future of several thousands of Tamil youths, seeking asylum or in pending cases, not only in Canada but also in several other countries, all over the world. This is a land mark Judgment that could be quoted in similar cases everywhere, not necessarily in Canada alone. It is now almost six weeks, since this Judgment was delivered. Although only your name mainly transpired during the proceedings of this case, I hardly find any response from you up to now. Knowing very well that the future of many youths will be blasted, your silence is shocking. There is a lawyer, who himself without understanding the seriousness of the mater, had merely said that his political party is currently studying the case and would discuss on how to address the matter with the Canadian Government. It is very unwise even to think that this matter could be sorted out with the Canadian Government, being a matter involved with the Judiciary. In our country we find difficult to have some political prisoners pardoned, how can we expect anyone to interfere with the Judgment of a foreign country. This lawyer’s interview to a local weekly that, we maintain a cordial relationship with the Canadian Government and that this kind of assumption is erroneous, will further aggravate the situation. We maintain good relationship with the Canadian Government, no one can deny, but finding fault with the Canadian Judiciary, in my opinion, is highly contemptuous. This lawyer’s statement that they are hoping to make representations to the Canadian Government, once they discuss the matter with the TNA leadership, is good if they succeed but please make them realize that this is a matter that involves the Judiciary of a country and also that the TNA is the bone of contention in this matter. Mr. Sampanthan I plead with you not to allow this matter to be handled by inexperienced people and give false hopes to the innocent people, whose only hope is their young ones. You never took me seriously although I had proved correct on most occasions. I always think of a permanent solution while yours is piece meal treatment. Please wake up and take the problem in your own hands and see what you can do in this matter. Do you think that this judgment will not seriously affect the asylum cases all over the world? I am now beginning to think about your future as a politician. The Canadian Judgment had clearly said that you, your ITAK and the TNA have links with a terrorist organization, very popularly known as LTTE or the Tigers. You and your team only made use of them, with fantastic ideas, merely to enter Parliament and later did nothing to save them. Instead you had on your own, wanted the LTTE cadre too tried for War Crimes. This is the greatest betrayal in the history of the Tamil struggle. You are not unaware as to how recruitments to the LTTE took place. There were three categories, one of which was innocent young ones, the other category was by conscription under compulsion and the third was, young men influenced by inflammatory speeches. Will it be possible to identify them as to which category each one of them belonged? Is this the reason why the political prisoners are not released? If so this is yet another betrayal on the part of the TNA. 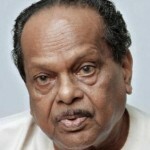 The Canadian Judiciary had proved the relationship you, the ITAK and the TNA had with the LTTE. This will expose the innocent people to grave danger. During the war I had written a number of letters to you,to the LTTE and to the President. On 11th January, 2009 I appealed to you all to save the innocent people trapped in Vanni, failing which to quit your seats in Parliament. I wrote to Thamby Prabhakaran on 16th March, 2009 not to earn the curse of the three lakhs and thirty thousand people belonging to 81 thousand families. On the 02nd of May, 2009 I asked the Government of Sri Lanka to select an International Agency acceptable to the Government to visit Vanni and to persuade the LTTE to allow the innocent people to go out freely. Unfortunately no one responded. When the Indian Foreign Secretary Shri Shiv Shankar Menon, on 10th April, 2009, asked you the TNA to meet him in New Delhi the TNA refused, asking him to stop the war first. If any one of these suggestions had been favorably considered and action taken, there would not have been so much of causalities. The entire lot and the LTTE cadre including Prabhakaran and his family could have been saved. Most of the unpleasant incidents too would not have taken place. No one would have branded you the TNA and the ITAK as having links with a Terrorist Organization. Now Mr. Sampanthan you must take the full responsibility for what is happening now. There was absolutely no need for the TNA to contest the 2004 elections on the ITAK ticket. Recognition of the LTTE at that time, as the sole representatives and National Leaders of the Tamil people was uncalled for. 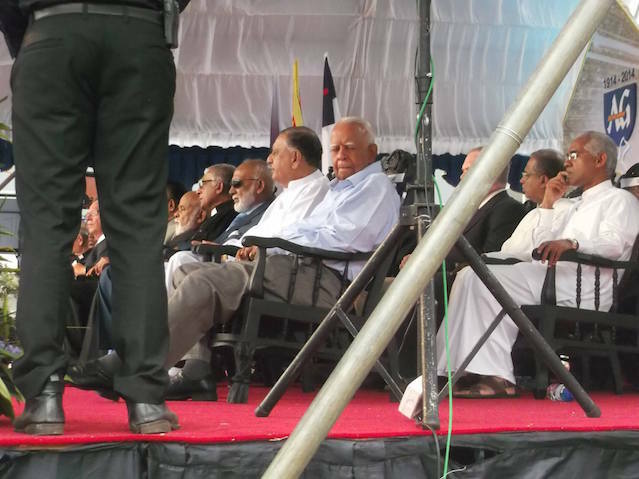 All of us considered much earlier, that for the purpose of talks relating to the Tamil problem with the Government and such others, to accept the LTTE as the Sole Representatives of the Tamil people and not in all matters. Your giving in to all the foolish demands of one individual, for whom leadership was foremost in his mind, has brought the Tamils to this state. Greed for power, destroyed everything and now the entire Tamil community in Sri Lanka is on the verge of being declared as Terrorist. If you can, please save us. 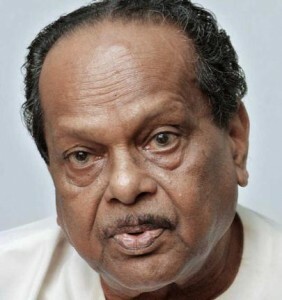 If you can’t, kindly declare that you have failed in your mission and handover the leadership to the TULF, the proper authority, left behind by Thanthai Selva, in co-ordination with Hon.G.G.Ponnambalam and Hon.S.Thondaman, as a legacy for the Tamil people. I am 83 years now wanting a solution for our people soon and not any positions for me. I am prepared to stand down, if a solution acceptable to our people is offered. You will never solve this problem alone. At least now call for an all party meeting to discuss the main issues or leave that task in my hands.